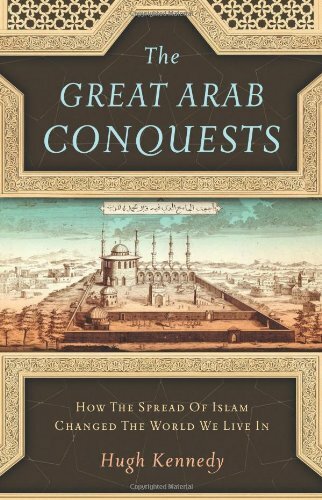 Hugh Kennedy describes the opening stages of what is arguably the most important fact in Christian history over the past 1,900 years, namely the replacement of Christianity by Islam over the Middle East and much of North Africa and Asia. If this statement seems hyperbolic, recall that at the end of the first millennium, Syria, Mesopotamia, and Anatolia still had good claims to rank as the cultural and spiritual heartlands of Christianity, and that the Church of the East—the so-called Nestorian church—was expanding enthusiastically across Central and Eastern Asia. But ultimately, the Eastern churches would succumb before the rival power of Islam, in a series of disasters that tore Christianity from its roots, cultural, geographical, and linguistic. This uprooting created the Christianity that we commonly think of today as the historical norm, but which in fact resulted from the elimination of alternative realities. Critically, the fall of the Asian churches made Christianity much less Semitic in thought and language. A thousand years after the world depicted in the Book of Acts, some of the world's most active and dynamic churches still thought and spoke in Syriac, a language closely related to the Aramaic of Jesus' own time. They still called themselves Nasraye, Nazarenes, and followed Yeshua. Through such bodies, we can trace a natural religious and cultural evolution from the apostolic world through the Middle Ages. If there is a decisive break between the New Testament world and modern Christianity, it occurs with the fall of these churches, chiefly during the 14th century. Christianity does indeed become predominantly "European," but about a millennium later than most nonspecialists think.